Huntington Park, Roll And Teriyaki Korean Food Restaurant For Sale On BizBen. For Best Results & Response, Email & Phone This Contact: Joseph Joh at 213-500-8676. Gross Sale : $20,000/Month. Net Income : $5,000/Month. Good decorated Interior. Good potential. Easy operated Business! To get more information about this Roll And Teriyaki Korean Food Restaurant business for sale in Huntington Park, LA County please phone Joseph Joh (Broker - BRE License #:01195918) at 213-500-8676 - if you get voicemail please leave a detailed message - make sure you mention you saw this posting/ad #237896 on BizBen.com. In addition to phoning Joseph Joh, make sure you email Joseph Joh above to get more info about this Roll And Teriyaki Korean Food Restaurant, to ask any questions or request an appointment to see this business for sale, franchise, or opportunity. Thank you. The restaurant business is a tough business to be in, no one can dispute that, and so it's imperative that an owner's equipment is in good working condition. 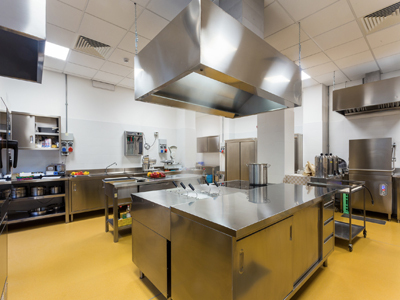 A new owner should make sure that the restaurant's equipment is in good working order before they close escrow. Joe Ranieri gives his tips.